It is not every day that a new standard is set in real estate marketing. Many companies have tried to establish a new medium, but in reality it is more or less a gimmick. There are only so many ways you can put pictures of a house on the Internet or a postcard. This methodology has been tried and tried again to make the experience easier for the Realtor. However, drones finally provide that experience that gets the consumer really excited. From talking with homebuyers and Realtors over the past couple of months, the use of drones has given clients a high-definition perspective of the house and neighborhood, and an indoor tour of the home. The value-add here is an unforgettable viewing experience for both client and Realtor. Driving this increase in drone photography is price. Price for this service has come down to a few hundred dollars enabling Realtors to capture really great pictures and videos of a listing — meaning this technology is not just reserved for multimillion-dollar estates, but the majority of real estate listings across the county. In a housing market already short on inventory, I see Realtors all the time using this as a draw to earn more listings. This alone will be incorporated into every Realtor’s listing presentation in the near future. My prediction is that aerial photography will become another line item under the photos and virtual tour column when marketing a listing. Consumers will begin to demand it, as there is no question more people will enjoy watching it. Considering the investment in this service is relatively small, it is almost a sure thing that Realtors will see a positive return on investment. Considering the Federal Aviation Administration prohibits the commercial use of drones right now, I believe we are past the point of no return. The technology is too cheap and there are too many people willing to take the risk of getting shut down by the FAA. The sooner the FAA regulates the industry, the better it will be for everyone involved. 1. Drones are essentially a flying camera tripod. 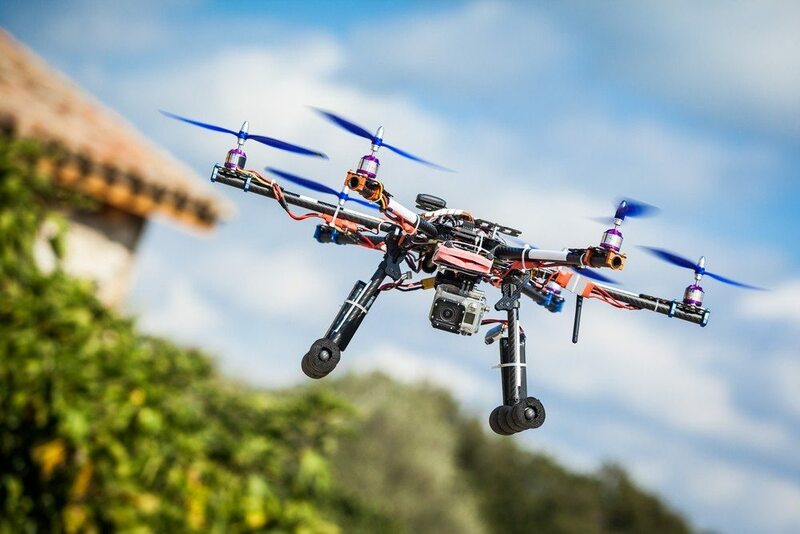 It’s as easy as showing the Realtor the hand-held TV screen of a drone pilot filming a house. The Realtor can easily direct the pilot around the property to get the perfect shot. In my opinion, this is a no-brainer for real estate agents. 2. Aerial photography is affordable. The days of hiring a helicopter are over. Any sentence with the word helicopter in it automatically signals expensive. Drones have the capability to hold the same camera equipment, and have 10 times the maneuverability of a full-sized helicopter. 3. Sellers will demand it. You do not want to be that Realtor in the future who does not offer aerial photography for your clients. The value it adds is a no-brainer. Realtors do not dare put a home online without pictures. Aerial will follow suit.